Laurie Alderton is renowned for his frame-straightening business in Sydney’s west, now run by his son, David. Laurie turned 80 last year, and still cycles 5km down to the workshop a couple of times a week. While he doesn’t ride his roadbike much anymore, he still sails, his other passion outside motorcycles. It was his early passion for two wheels that helped create history. “I grew up in Schofields (in Sydney’s outer north-west) and worked for Rob McPhail in Forestville, commuting 35km on the BMW I bought at Tom Byrnes. Rob and I were both members of Willoughby and that’s how I got the job. “Competition wasn’t in my sights, but I’d go out and watch road racing, scrambles and dirt-track. “Willoughby was promoting motocross at Moorebank. I was one of the worker bees, so I thought I better get a scrambler, a converted 350 BSA roadbike. I was 23. I’d been working at a Jaguar place in Parramatta, and one of the customers, Fred Traynor, was a bike fan who offered to sponsor me. “A bike came up for sale at Hazel & Moore, so he bought it and gave me $100 to modify it. All he wanted me to do was take him to the races. He sadly died not long after, but his help gave me a leg up and Harry Bartrop from Bennet & Wood called me up and said, ‘How would you like a BSA?’ A brand new BSA Victor turned up at my place. “I later went to work at Ryans, and jumped on a Montesa. 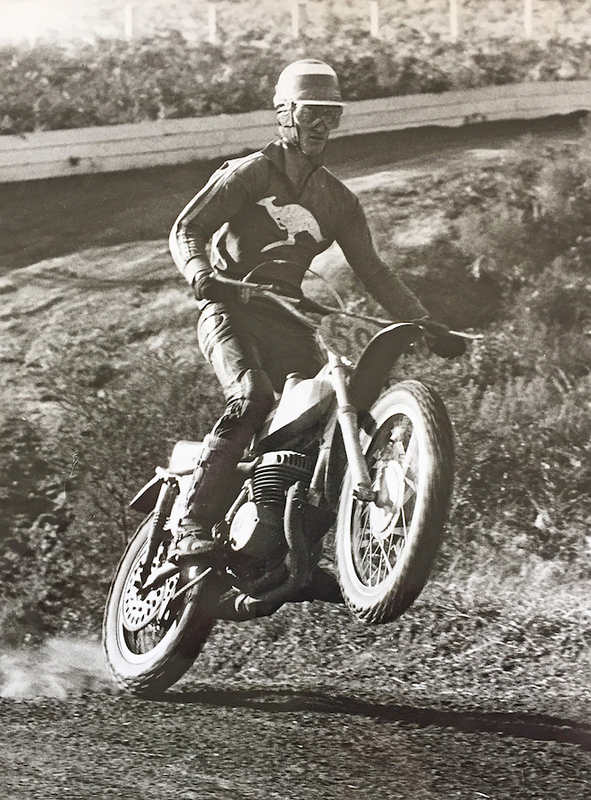 I finished second in the Aussie scrambles title in 1967 to Ray Fisher, and in 1968 I went to NZ for the Gold Leaf Moto Cross series. I rode my brother’s Montesa 360 and stayed with Montesas from then on. The gun riders of the era were Graeme Bartholomew, Matt Daley, John Burroughs, Dave Basham – and the Flood brothers, Gary and Trevor, were coming on. I was never the best, second and thirds in the major championships, but I kept going for a long time. “I rode the Trans-AMA series in ’73 with Jimmy Scaysbrook. I think we were the first Aussie motocrossers to race in the US. “The Americans were new to motocross. Torsten Hallman had been coming over and smoking the Yanks on his Husky, so the AMA copied the European race format – two 40-minute motos. It was a different mentality. The Europeans approached 40-minute motos like an endurance race, because they were earning good start money and racing each week. If you were behind there wasn’t the hunger to ride 100 per cent for the win because you had already earned your money, and maybe you win next week. “The Americans rode for big prizemoney, so they treated 40-minute motos like a sprint and their fitness, intensity and technique grew, allowing them to improve rapidly. In five years, the Americans went from racing for ‘first American’ to winning AMA and world championships, turning the tables on the Europeans. “The idea for the trip to America with Jim started with our dream to do the ’73 Six-Day, which was in Massachusetts. Back then, Australia’s affiliation with the FIM was through the ACU in Britain, and when we applied as ‘Team Australia’ the ACU said, ‘Who are these blokes?’ It became an almighty shitfight, and in the end I said, ‘Forget this.’ We were over at Jimmy’s shop at Gladesville one night and thought, why don’t we race motocross instead? We called the AMA and they said, ‘Sure, come on over.’ It was that simple. 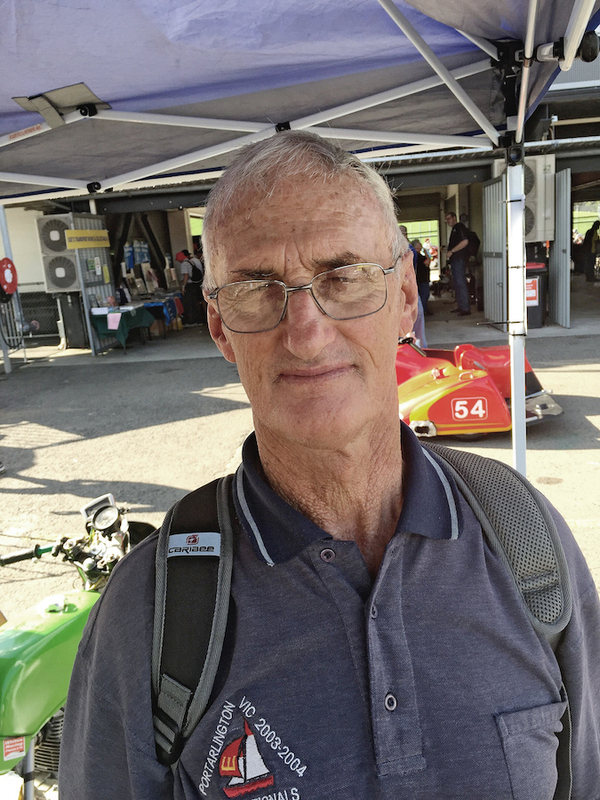 “The Trans-AMA Championship was their autumn series, and I was 36, making my debut in America! “As ‘internationals’, Jim and I automatically qualified at each round. I rode a CZ, and did 12 races. “It was fantastic, a real who’s who of motocross – Roger DeCoster, Adolf Weil, Willi Bauer, Gerrit Wolsink, Dave Bickers, Pierre Karsmakers, Gary Jones, Jim Pomeroy and Jimmy Weinert. The first round was at Springfield, New York. The first moto, I ran out of hands – my skin came off. I thought, ‘I can’t do this,’ then I wrapped them in tape and went out and did the second moto. I’d never run a 40-minute moto in my life!